Congratulations to BBE Signature Artist Gus G. who just released his first solo album, "I Am The Fire." You're no doubt familiar with Gus as guitarist with his group Firewind and also his lead guitar work with Ozzy Osbourne, but now Gus' first ever solo album will give you a new look at this talented guitarist. Check the videos below and stop by www.gusgofficial.com to grab your copy of "I Am The Fire." 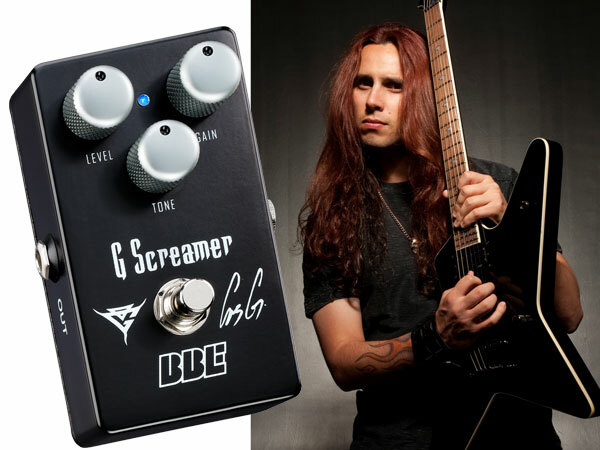 About the BBE G Screamer™ Gus G Signature Overdrive: "The Green Screamer was working great for me, but I had ideas about how to make it even better for my tone. Paul Gagon and I collaborated and we modified the input driver to the distortion circuit so that more lower-mid harmonics are focused where I want them. Now my new G Screamer pedal lets me drive even more harmonics, and they're focused right where I need them to be for a cleaner, tighter distortion. The G Screamer delivers explosive power with precision. It's my new weapon." - Gus G. For more information, click here.